The bish bash is back ! We still need volunteers to help man the stalls and activities, so that everyone, children and parents, have fun on the day. If you have a spare 30min to donate, please sign up to volunteer to man a stall (food, drinks or activities). We can't thank you enough for your help and support. There will be a space for families who wish to get rid of all the "don’t use this anymore, can’t take it abroad, don’t play with those any longer" stuff. Seller spot $10. The PTSA is extremely grateful to the whole school community for the help and support you very generously give. We would like to thank the Neighbourhood Reps, all volunteer parents, the Performings Arts Dept, the students, members of staff and the SLT, for their help in setting up this event and volunteering on the day. A big THANK YOU everyone ! 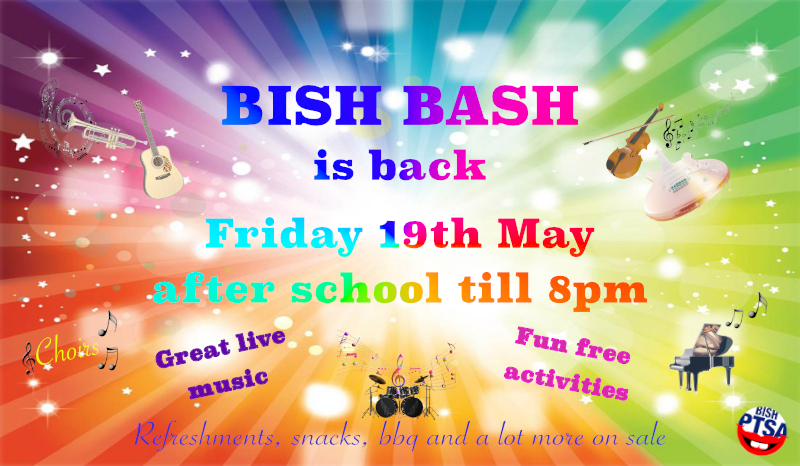 Wondering what the BISH BASH is ? This is our summer fayre, with live music, children's activities, refreshments and food, and there is no entrance fee. From 3:30pm till 8pm this Friday, outdoors at school. Live music by the students will start at 4:30pm outside, and there will be pianists playing in reception from pick-up till 4:30. Then the students bands and singers will be performing outside on stage. We are delighted to welcome back Mr. Dillon Wolfe as this year's Bish Bash MC. Activities for the kids, like inflatables and face painting, are free, and will start at 3:30pm, outside by the Primary playground. Stalls will open at 3:30pm. While our amazing students will be playing music and singing, you can enjoy crazy mocktails and a nice picnic with family and friends on the grass. Bring your own picnic or buy from the stalls: burgers, hot dogs, pizza, snacks, candy floss, popcorn, drinks and mocktails. 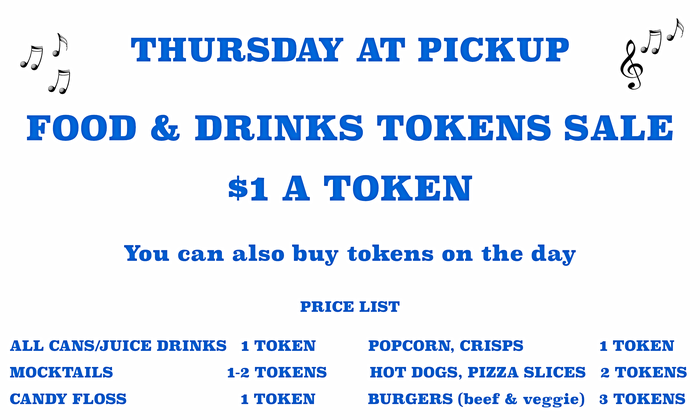 Payment for food and drinks will be with tokens ($1 each, see price list below). Activities are free. Tokens will be on sale on Wednesday and Thursday at pickup, in the car park corridor. So you can buy early, and avoid the queues on the day. Else bring cash on Friday to buy tokens then.